disclaimer disclaimer (required)I have checked my message & confirm that it contains all words required & all spellings & dates are correct. I take responsibility for any errors in my message. disclaimer (required)I have checked my message & confirm that it contains all words required & all spellings & dates are correct. I take responsibility for any errors in my message. disclaimer (required)I have checked my message & confirm that it contains all words required & all spellings & dates are correct. I take responsibility for any errors in my message. disclaimer (required)I have checked my message & confirm that it contains all words required & all spellings & dates are correct. I take responsibility for any errors in my message. 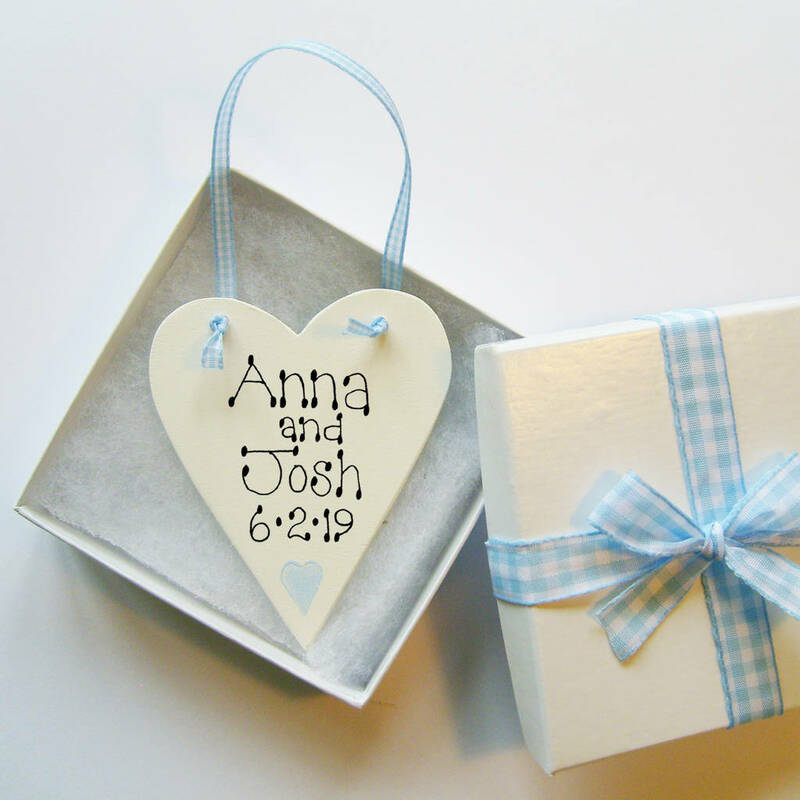 A charming Wedding Keepsake to remember your special day and a pretty personalised favour for those special guests. Looks delightful on the wedding table. 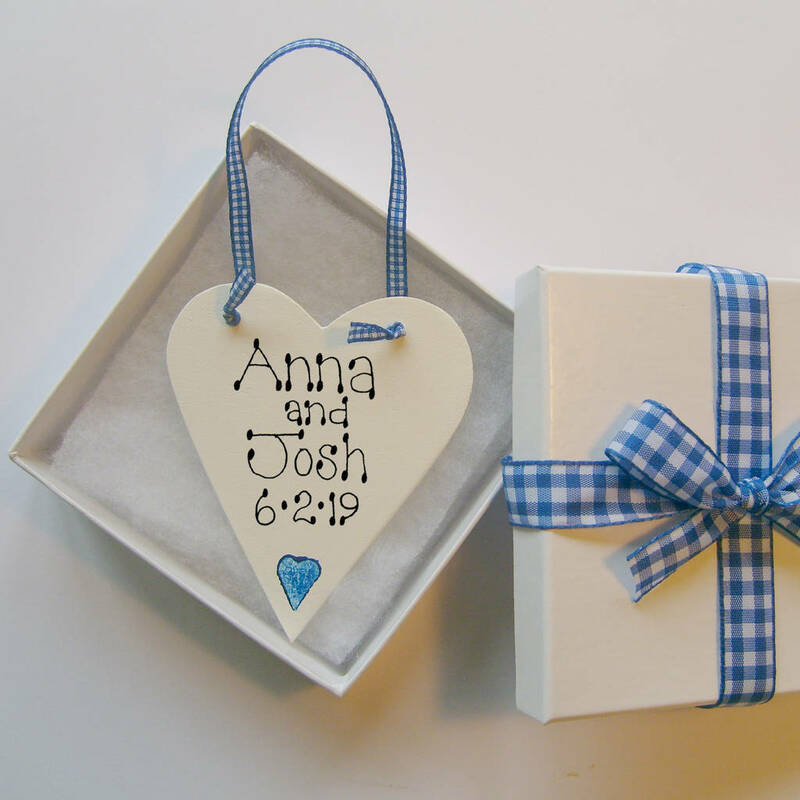 Wooden keepsake hand painted in eco-friendly paints and individually inscribed by hand. A great reminder of a special Wedding day. 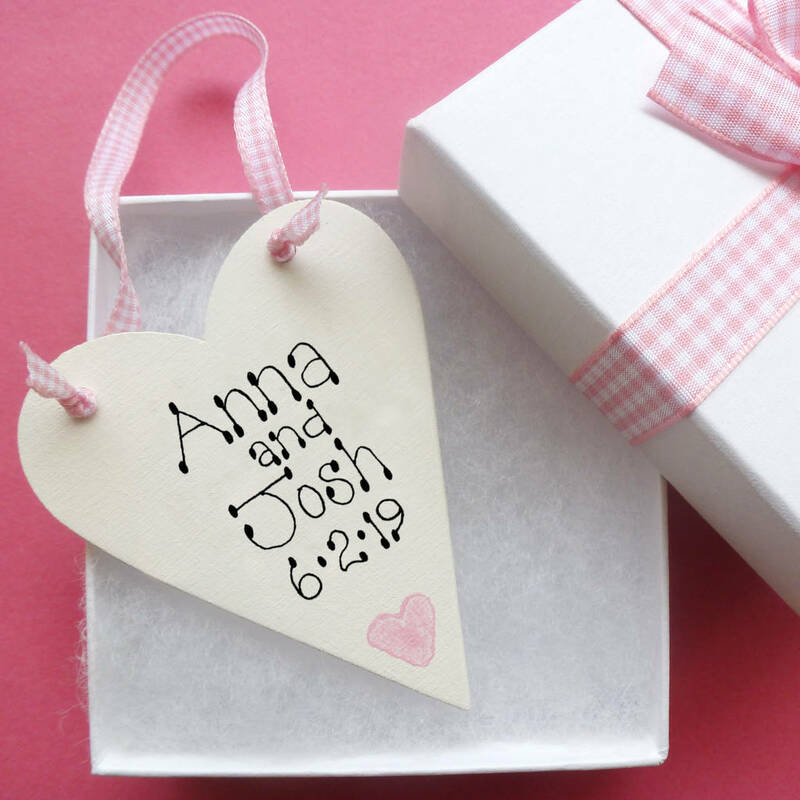 The wooden heart bears your message of up to six words and is hung with a gingham hanger. Beautifully presented in a White Gift Box, tied with a bow. Lids can be lifted without undoing the bow. If you require an alternative colour please contact us. 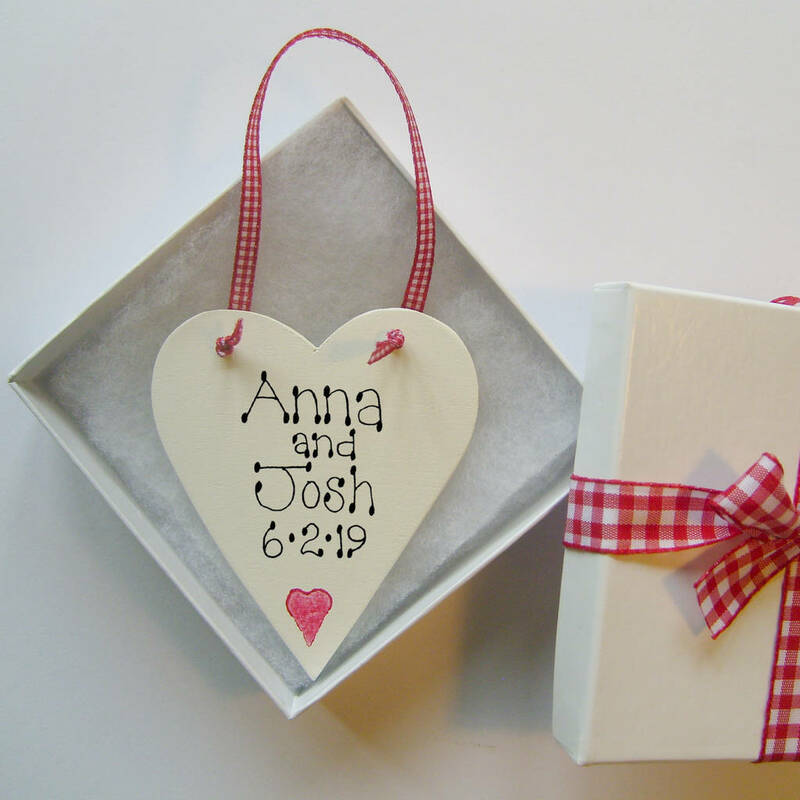 Please enter your personalisation details of up to six words in the box provided. The Message in Picture is an example only. Please enter your complete message as you wish it to appear. Available in Pink, Red or Blue. A White Gift Box and a Wooden Keepsake. This product is dispatched to you by Country Heart.